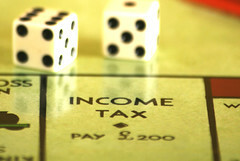 The UK’s HM Revenue & Customs (HMRC) department has made public its projections for personal income tax revenues for the 2010-2011 financial year. The department expects an additional GBP 10 billion (approx. USD 15.1 billion) to be realized, mainly from the two top marginal tax rates.